What comes to mind when someone mentions the concept of a “home gym”? Large pieces of machinery taking up all of the space in your home? A monthly subscription to a workout routine you’ll just never get to? A room in your house that you avoid like the plague? You’re not alone! For most people even the thought of working out at home is enough to make their skin crawl. It may be either from general discomfort at the idea or the clutter it might create. There’s even the premonition of the raw disappointment they know they will feel in their own home as they look for any excuse not to climb onto the expensive equipment they have invested in. What if we told you there exists a compact, portable piece of equipment that is the equivalent of thousands of hours in the gym and all the bulky machinery in one? And best of all at a fraction of the cost! 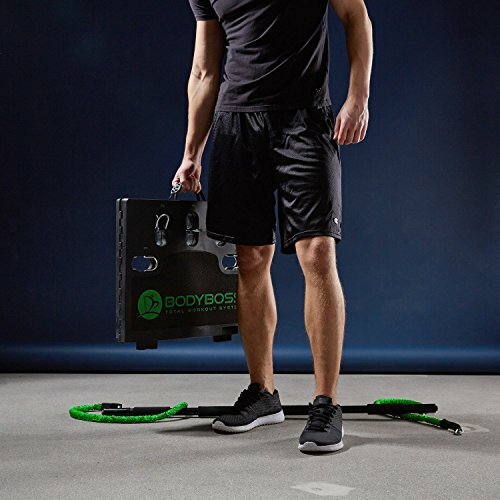 The idea behind the Bodyboss Home Gym was to simulate all the expensive, bulky machinery one would find in every physical gym and put it into one, compact structure. Motivated by the realistic nature of everyday life Bodyboss targets the average person being interested in physical well being but too consumed by work, travel or play to head to an actual gym. The brand saw a gap in the market for a reliable and result worthy piece of equipment. They wanted something that could slide seamlessly into the everyday life of your CEO, your stay at home mother & even a professional sportsman. The structure in question was to be lightweight, fully portable and easy to carry around & should require little set up time. In 2016 the idea for this simple yet inclusive structure found its way onto the television screens on the popular entrepreneur show called Shark Tank. Investors were sold on the product within minutes. And so came the birth of the Bodyboss Home Gym. No matter what your level of experience is or what the layout of your living situation happens to be, the Bodyboss Home Gym offers you something. Most importantly, it eliminates the need for unwanted, oversized gym machinery taking up valuable space in your home. 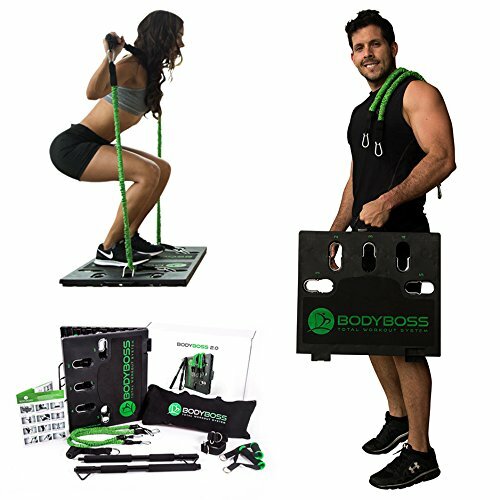 The Bodyboss Home Gym is a comprehensive piece of equipment that simulates a multitude of costly gym machinery. You get this at a fraction of the cost of a gym membership. You pay once for the home system and that’s it. No monthly subscription, no yearly increases, no hidden fee or a personal trainer you didn’t want in the first place. All things considered it truly is a very minimal cost for such a versatile piece of equipment. 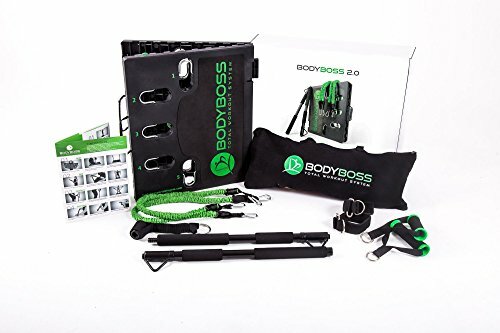 Through a variety of different mechanisms and connectors, the Bodyboss Home Gym provides a workout for the entire body. Whether you’re looking to stimulate your glutes, lose weight or even just stretch out your feet, this home gym has it covered. Mimicking dumbbells and other handle based exercises. The system includes simulated weightlifting using a variety of elastic bands that create tension when pulled up and down by the user. More bands can be added at any time to create more resistance, simulating the of adding actual weights as one would in a regular gym. 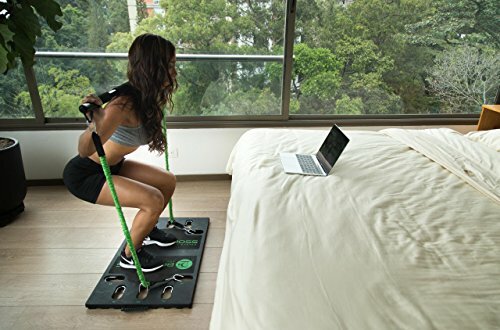 The Bodyboss home gym is also designed in such a way that it slides easily into unison with any other form of home exercise. For example a yogi who practices at home can easily connect themselves to the bands of the home gym. This adds some extra resistance to their yoga routine for muscel building. A Pilates practitioner can strap themselves in to the home gym ankle straps and achieve all the resistance they need for a fully stimulated work out. An aerobics instructor can utilize the bands to intensify a fast pace, upper body routine. More information on how to incorporate the Bodyboss system into pre-existing workouts can be found online. There’s the Bodyboss website or individuals who have taken it upon themselves to create videos on the subject. While these forms of exercise are definitely complimentary to the home gym system they’re in no way imperative to the systems appeal. Using it as is is equally as effective and beneficial to the body. 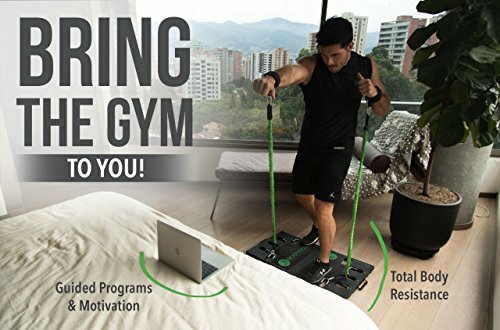 Anyone seeking a good full body workout from the comfort of their own home, hotel room, office or public space can find ample use in the many intricate features of this smart system. In fact, there is a growing community of Bodyboss users who even take to public spaces and participate in group training all using their home systems. Warehouses, parks and community centers have become meeting points for the Bodyboss community. They reach out to one another and share tips & tricks to get the most out of their units. Let’s explore a fair review of the Bodyboss gym system. From a money saving point of view we are sold. An all-in-one type system that simulates thousands of dollars worth of gym machinery from the comfort of your own home makes budget sense. On top of this eliminating the need to pay monthly gym memberships, personal trainers and workout planners count in its favor too. While you’re actively saving money you’re simultaneously saving the time it would have taken you to pack yourself up and deliver yourself to your nearest gym. This means working out becomes more convenient but also more frequent. Upon purchasing the unit the buyer has the option of receiving a startup workout plan absolutely free. This will guide and teach each user in the ins & outs of the system while putting them on a solid workout routine as a foundation from which to grow. Once you’re comfortable with the system, Bodyboss offers users the option of signing up to their free online training videos. The videos are streamed live three times a week and the schedule that can be found on their website. Just find the time that works best for you and tune in. There are also a series of accompanying instruction books and manuals that you can use to create a workout for yourself most suited to your personal goals. It all comes down to what you’re looking to gain from an at home gym. As your strength grows and fitness levels rise, you have the option of purchasing additional bands to add to your unit for extra resistance & intensity levels. So, you can essentially never outgrow the system; it can continuously reach the level of intensity that your body needs. It also works with almost all body heights. However individuals over 6’4" might experience more severe resistance on the bands due to the standard length of each. It seems this minor hurdle has been repeatedly brought to the attention of the creators and will soon be addressed, likely in the form of extended length bands for those who need them. With this system you can work out your upper, middle and lower body as needed as well as all over cardio routines. There’s no part of your anatomy that’s excluded from the design. It is exceptionally well curated with your average person and their fitness needs in mind. Concerns of efficacy for people over 6’4"
Gone are the days of dreading your outdated and over-cluttered attempt at a home gym. No longer will you stress over finding time in your day to physically drive to a place just to workout. Never again will you incur a repetitive cost for a service you rarely use. Whether you’re just starting out in the fitness world or you’re a bodybuilder by trade: Have a look at this unique device that has taken the world by storm since its television debut back in 2016. The reviews speak for themselves. This is definitely the start of a new era in the way we define what it involves to “go to gym” and Bodyboss is responsible.